Another week, another news opportunity to cover how Mike Frerichs - Democrat for Illinois State Treasurer - lied in his announcement video. Rich Miller at Capitol Fax has gotten his hands on the latest video from the Tom Cross for Treasurer campaign. This video lays out the case for why we can't trust Mike to be our latex salesman State Treasurer. From Washington to Springfield the typical politicians are failing us. 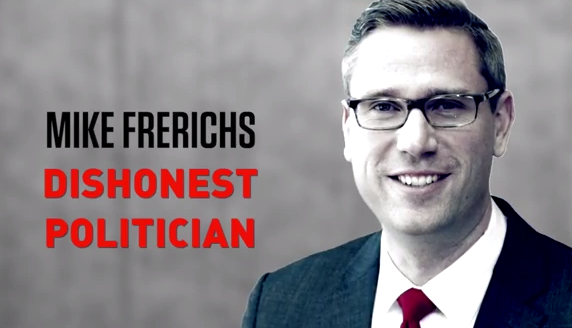 Dishonest politicians like Mike Frerichs. The problem? It’s not true. Frerichs voted against ending lifetime health benefits and voted to increase his own pay. Just another dishonest politician we can’t trust… especially with our tax dollars.